If criminal justice reform is truly a bipartisan issue, then politicians should accept the demands of those striking. In prison, days are filled with activities dedicated to getting your immediate needs met and, outside of an occasional fantasy, planning for any collective future in prison is rare. You must focus on the now, to get to the next now. Besides, it’s hard to maintain a long-range or expansive worldview when you live in a box. As a result, when prisoners do demand better conditions, they tend to focus on securing a different food offering in the commissary or thicker sweatshirts, prioritizing short-term satisfaction over lasting change. That’s how famed psychologist and originator of the “hierarchy of needs” Abraham Maslow says all human beings behave: Basic physiological needs first, self-actualization later. But the national prisoner strike that started on Tuesday and will last until Sept. 9 is different. 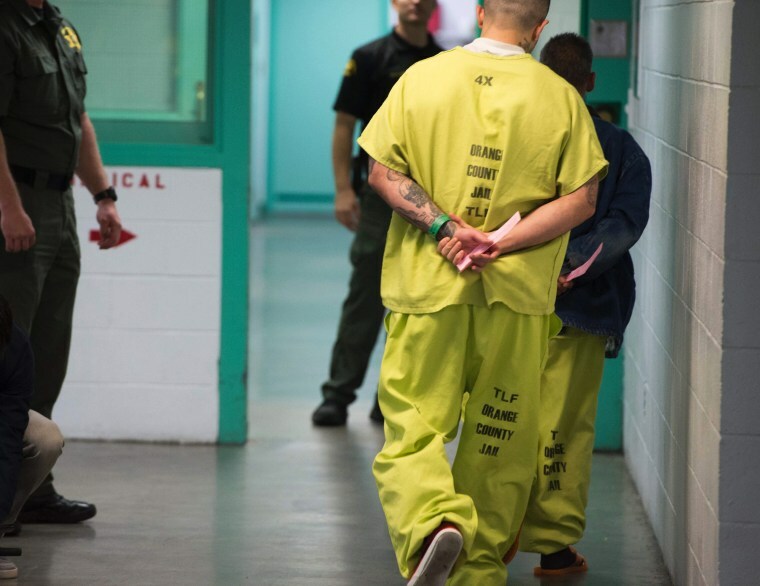 The list of 10 demands formulated by the various inmate organizers is strategic and smart and, if achieved, could change American penological practices for the better. The first demand, that all prisoners be treated humanely, would probably entail action on the remaining nine demands. But, of those, three are particularly worth highlighting for their potential impact and and ease of passage — especially since criminal justice reform is now billed as bipartisan. The strikers' third demand is to repeal the federal Prison Litigation Reform Act, a Clinton-era law supposedly aimed at reducing the number of frivolous lawsuits filed by inmates. (The famous example used to promote its passage was the inmate who sued because he was delivered the wrong style peanut butter by the commissary.) To curb abuses, the statute instituted a grievance “exhaustion requirement,” directing inmates to use internal administrative remedies to solve problems before resorting to litigation. But the law backfired because the people who run the grievance system are often the ones about whom prisoners need to file complaints. Thus, it’s almost impossible for an inmate to exhaust his or her remedies (let alone resolve a grievance) in order to file a lawsuit at all. OpinionReading gives prisoners hope. States want to take it away. Their seventh demand is that every prisoner should have access to rehabilitation programs at their place of detention; currently, many people convicted of violent crimes are simply denied access to such programs. Because I’ve lived with people who’ve committed crimes, I know that one violent act does not a violent person make. But inmates have no constitutional right to rehabilitation, even if we all know that it's key to living well-adjusted lives in and out of institutional settings. Most people agree that a system that handles people accused of breaking the law should give them the tools and the opportunities to behave better and improve their lives. Part of rehabilitating someone is teaching them that, when they do good, they have at least a chance of succeeding. Denying them rehabilitation is denying them a chance to succeed as law-abiding citizens. And the 10th demand is for the voting rights of all confined citizens (both those serving prison sentences and pretrial detainees) and formerly incarcerated people must be counted. One of the reasons that the trillion dollar failure we call our criminal justice system is allowed to continue without major reformation year after year is that the people who know its problems best and have new ideas for solutions have little to no political power. But, beyond that, restricting voting rights of citizens falls into a distinctly racist pattern; it’s no accident that the two whitest states in the country — Maine and Vermont —never disenfranchise voters. Even prisoners there can cast ballots. But states with larger black populations disenfranchise more people for a criminal past. Felony disenfranchisement is blatant, institutional suppression of the black vote. The Marshall Project recently reported that even people who are eligible to vote again after incarceration don’t know about their rights. That’s how felony disenfranchisement is so invidious — through misinformation and a lack of education, we end up disenfranchising ourselves. This lack of education on voting rights isn’t an oversight; it’s intentional. Illinois House Bill 4469, for instance, would help pretrial detainees vote while incarcerated. But, after both legislative chambers passed the bill, Illinois Gov. Bruce Rauner just vetoed it because it contained a provision that taught inmates about their voting rights as they discharged from custody, even though Illinois is one of 14 states where inmates are eligible to vote as soon as they leave the prison. As the strikers demand, it's time to start treating incarcerated people humanely, and as human beings. Sociological, economic and legal explanations of crime abound, but my experience taught me that many people who commit crimes do so because it’s one area of their lives where they’re effective. They can make the money to feed their families; they feel safe when they carry guns. It’s Maslow’s hierarchy of needs again. The challenge in creating a safe and law-abiding society is to guarantee that people can achieve that feeling of self-efficacy to everyone in lawful endeavors. That's one reason that this strike is different than ones past: It's not intended simply to reform prison conditions, but to restructure the carceral system, and how it affects people's access to the world outside. Giving in to the strikers' demands isn’t giving up; it’s part of a move forward. In the spirit of rehabilitation, of teaching incarcerated people that well-planned and properly motivated efforts at change can be rewarded, even if only minimally, administrators need to work with inmates on this one. Chandra Bozelko writes the award-winning blog Prison Diaries and is a 2018 “Leading with Conviction” Fellow with JustLeadership USA, an organization that seeks to decarcerate the United States by half by 2030.